ALLAN WAT Eli. p lento. 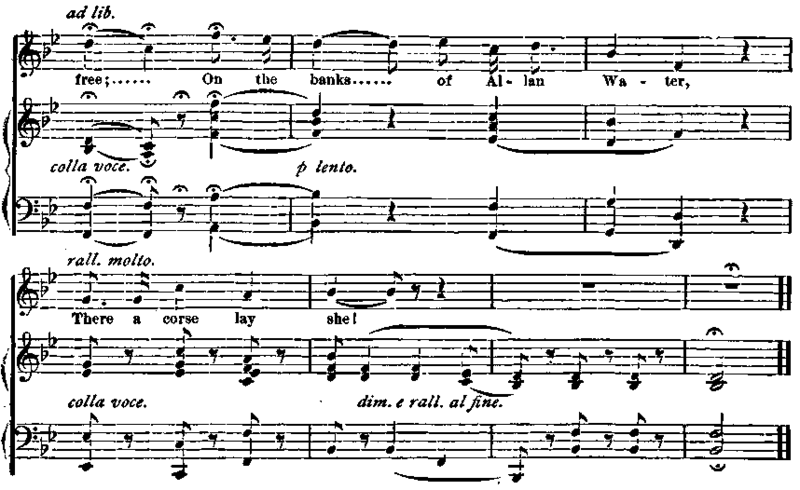 The following song is a combination of old English words and music. They are both very old; but had never been linked together until Joseph W. Turner united them, added a few lines, and adapted them with a piano accompaniment, which we give. In this form they appeared about 1845. Mr. Turner says, in a note attached to the music, that the song recites the fate of a beautiful girl, wooed by a young man whose suit was disapproved by her parents. The lovers were secretly married, and when, a year later, the young wife was deserted, she made her way to her old home, only to die upon the threshold. 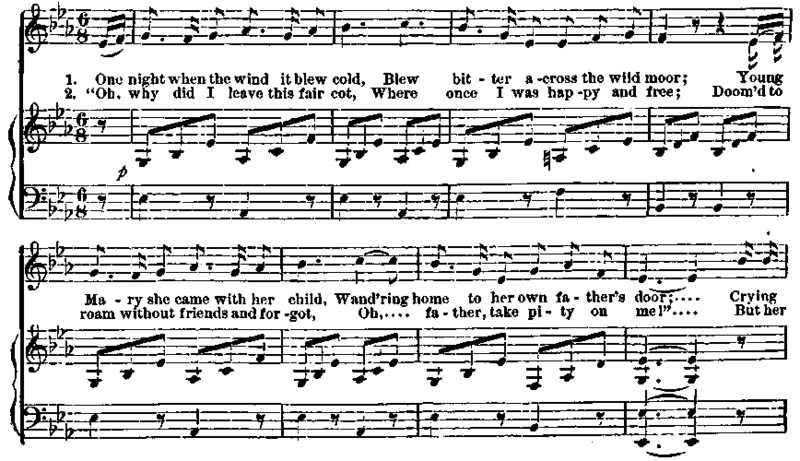 The song is so poor as poetry, that it has depended for its popularity solely upon the plaintive beauty of an air well suited to the mournful tale whose burden it repeats.